Ethan Dzenis's season came to an end on Saturday at the Region 6 Tournament. The junior ends the season with a 29-9 record. With only a handful of seniors in the room, Manasquan will have a relatively young lineup, but one with plenty of experience. In the lower half of the roster, four double digit winners from 2017 are back in sophomore Jackson Jannarone, and the junior trio of Bella Serrano, William Bruno, and Ethan Dzenis. That foursome, along with another junior, Quinn Burns, provide experience as the Warriors break in several newcomers including freshmen Peter Berlin, Orlando Osario, Gioviane Guzman, and Jake Oleszkiewicz. The upper half of the lineup lost some key pieces from a year ago, with District runner-up and 30-bout winner Joe Ostberg, and 21-match winner Dylan Ownes lost to graduation, and State-qualifier Francis Marshall moving to Point Pleasant. With those departures, Squan will turn to Luke Hessinger to lead things in the uppers. Hessinger is the returning wins leader, and could be primed for a very strong year. Fellow seniors Peter Pastelak and Anthony Whille will look to close out their careers with breakout years, and help provide experience along with Hessinger. The Warriors will fill the remaining spots up top with some experienced returners from last season, as well as some new names that include, juniors Daniel Cutillo and Jonathan Ellicott at heavyweight, and Shane Ownes, a transfer from Paramus. 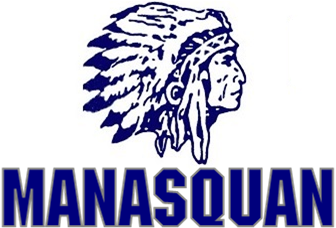 Manasquan has not hit the double digit win total since they went 12-10 in 2006, a threshold they will look to break in 2017. They'll have a full lineup together that is a mixed with experience and fresh faces all throughout. While they are fairly young, there is still some good experience here that should help the newcomers come along. The schedule is pretty balanced and ranges from the B-North toughies in Midd North, Long Branch, Wall, and Ocean, down to programs of similar size that the Warriors should hang tough with. In addition to shooting for the double digit wins as a team, the Warriors will also look to qualify several wrestlers for the SCT, and push for a strong individual post-season with an eye towards advancing at least one wrestler to AC for the 2nd consecutive year.